In a Nutshell: Launching a website is a crucial first step for a small business on the path to e-commerce. But it’s also important to choose a hosting provider that has the tools, scalability, and support it needs to grow. Founded in 2001, InMotion Hosting supports more than 300,000 domains across the web with plans built to scale that include business-critical services and easy access to free e-commerce tools. The company’s commitment to customer satisfaction is evident in its Premier Support and comprehensive knowledgebase, and InMotion’s managed services support small businesses as they expand their brands online. For the modern entrepreneur, setting up a website is an essential step to gaining visibility in the online marketplace and building a customer base. But, for those who are new to the world of hosting packages, server levels, and setting up e-commerce functions, it can also be one of the most beleaguering parts of launching a business. There are numerous options for each part of the process, and it begins by choosing a web host. With many providers offering similar services, it can be tempting to pick the cheapest one to fit a modest budget. Businesses will find that some providers only include basics with their hosting packages and then try to upsell clients on the tools and features they need to be successful. In the end, quickly deploying a functional site may cost more time and money than anticipated. Jason also advised choosing hosting that gives a business scalability. Some providers only offer shared hosting, which lacks the privacy, security, and space that a virtual private server (VPS) or personal (dedicated) server can deliver for high-volume businesses and enterprises. With affordable hosting packages that include free services and access to business tools, scalable server levels, and a focus on customer support, InMotion Hosting helps small businesses through every step of the process of building a strong online presence. The business model that a hosting company adopts affects the level of service its clients will receive post-signup. Many focus on bringing in new customers and aggressive advertising, while others cater to higher-paying enterprise clients. When Sunil Saxena and Todd Robinson founded InMotion Hosting in 2001, their experience led them to adopt a much different business focus and philosophy than other providers in the industry. 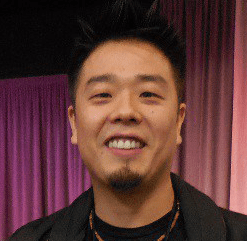 Jason Hong, Business Development/Affiliate Manager for InMotion Hosting, spoke with us about how his company helps entrepreneurs. As one of the few big hosting companies that’s still privately owned, InMotion Hosting doesn’t rely on venture capital or public funding, but instead on customer satisfaction, to drive its profits. With East and West Coast teams totaling more than 350 employees, a client-focused business model has spurred the company’s growth and remains critical to its success. For entrepreneurs trying to get online quickly, it’s important to have ready access to someone who can help. InMotion Hosting provides 24-hour, 365-day, 5-channel accessibility to its highly trained Premier Support team, which is housed in its Virginia Beach office. In addition to live support, InMotion also provides a comprehensive collection of resources within the support center on its site. InMotion offers affordable shared business hosting for various verticals, and addresses the specific needs of e-commerce with shared or VPS hosting. The Launch level is designed for business owners of all skill levels putting up a single site, while the Pro level can support an unlimited number of sites. As with other plans, all e-commerce hosting includes free storage, email accounts, and one free SSL certificate — the standard technology for a secure browser connection. “The freemium model we have available for all customers should be enough to get a simple shopping cart site up without any additional certificates,” Jason said. InMotion Hosting gives e-commerce businesses one-click installation for hosting tools like website builders, content management systems, and shopping carts such as PrestaShop or OpenCart — a free shopping cart system that can be integrated into any hosting plan. Another perk with e-commerce hosting plans is $250 of free advertising credits for Google Adwords, Bing, and Yahoo to give businesses a jump-start at drawing traffic to their new site. While shared hosting plans don’t require much technical knowledge, larger businesses may need help managing the behind-the-scenes duties of their sites, and InMotion Hosting provides that support, as well. “Not only is there scalability on the hosting platform itself, but also the services behind it. You can opt to get managed services for higher-end products such as VPS and dedicated. That way you don’t have to be responsible for managing the server,” Jason said. By providing web hosting plans that give clients easy access to the tools needed to run a customer-facing site by themselves or with the help of managed services, InMotion enables entrepreneurs to quickly launch e-commerce sites that are equipped to succeed. For those who are starting small or aren’t as tech-savvy, shared hosting is the most affordable, maintenance-free option, with enough shared space and load speed to support a small e-commerce site. But, with access to an expansive online audience, many small businesses experience rapid growth very quickly. The space and privacy of VPS hosting can support larger product databases and higher customer traffic. With InMotion Hosting, clients can seamlessly upgrade from shared hosting to VPS hosting or Linux-based dedicated servers to meet their needs. InMotion Hosting operates two datacenters, one in Virginia and one in Los Angeles (pictured here). When it comes to package prices, Jason pointed out that InMotion Hosting includes the built-in value of services that other providers try to upsell. Every hosting plan includes free data backup, domain, a one-click installer for 400 applications, and SSD Drives for faster load speeds and better uptime. InMotion Hosting also includes free access to one of the premium open-source website builders, BoldGrid, which offers the flexibility of a deluxe website builder with the freedom to migrate the site to any hosting provider. “It was created by InMotion to solve a pain point we saw in the market — customers using other web builders but locked into its hosting with no option of moving out. We wanted to serve that need, specifically,” Jason said. When working to get online quickly, e-commerce entrepreneurs are faced with many hosting choices. It’s crucial for them to know that not all providers deliver built-in services, tools for e-commerce, or scalable server options that leave room for growth. Even fewer have a customer-focused business model that will support them through the process. As a company that defies the industry norms of focusing on acquisitions and upselling, InMotion Hosting has become a trusted partner for small business owners. InMotion Hosting wasn’t just founded on a customer-focused business model; it maintains a culture that strives to inspire its business clients by helping them create and maintain websites that can support their customers and build their brands. “Our motto is: ‘‘Make sure we’re thrilling the customer. ‘Make sure we’re getting the customer everything they need so that they can succeed,’” Jason said.